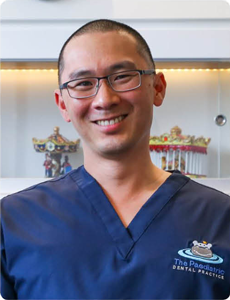 Founder of The Paediatric Dental Practice, Dr Michael Chong is widely recognised amongst his peers for his knowledge, expertise, surgical skill and passion. Michael grew up in Brisbane and earned his Bachelor of Dental Science degree from the University of Queensland in 1997. Following graduation, he developed an interest in paediatrics while working with children in the School Dental and Royal Flying Doctor Services in far north and regional Queensland. He went on to complete his Master of Dental Science in Paediatric Dentistry in 2002. Michael built his practice on the premise of providing children with expert care in a positive, safe and comfortable environment. He is committed to fostering long lasting relationships with his patients and their parents built on trust and respect and gains a great deal of satisfaction from watching his young patients develop their confidence in the dental chair. Michael and his wife Peta have three beautiful young children; Olivia, James and Cara. In his spare time he enjoys camping, fishing, four wheel driving and cycling. 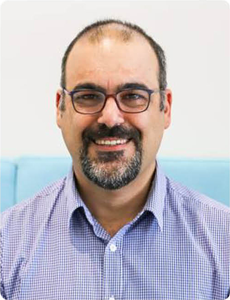 A registered specialist in Paediatric Dentistry, Dr Steve Kazoullis has over 25 years of experience in the field and remains active in dental research, his work published internationally. After graduating his Bachelor of Dentistry with honours and subsequent specialist training, Steve is currently the Discipline Lead for Paediatric Dentistry at the University of Queensland and holds an active position as a specialist at Lady Cilento Children’s Hospital. He also visits other hospitals including Pindara, Allamanda and Emerald Hospital. Steve also loves to sing! He performs with a choir and enjoys Byzantine chant. He can also rip out a tune on his acoustic and bass guitars or his piano accordion. Next on the list is to master the harp. Steve and his wife Andrea also love to get involved in community groups and help out as much as they can. Dr Tony is a registered Specialist Paediatric Dentist. 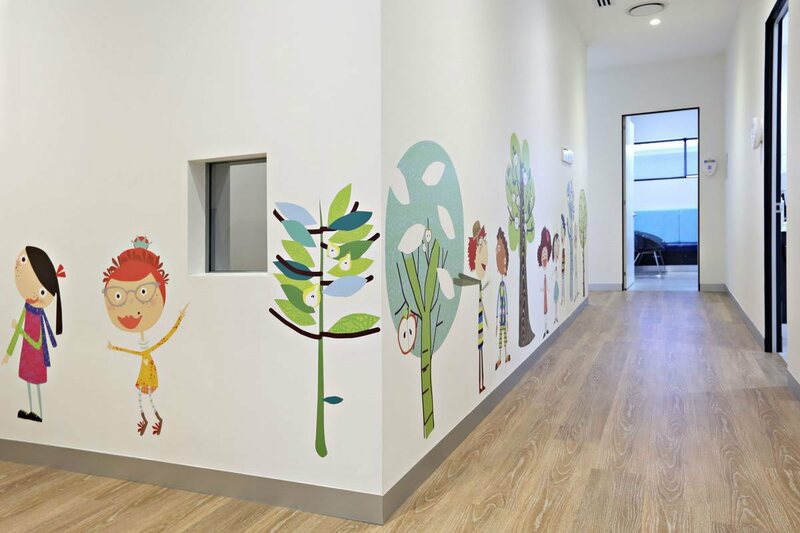 After expanding his skills for 10 years in general dentistry, Tony specialised in children’s dentistry by completing the three year full time Doctorate at the University of Queensland. He enjoys seeing children of all ages and has a special interest in paediatric oral surgery as well as treating medically compromised children and those with chalky teeth. Tony enjoys teaching and is a visiting lecturer at the Griffith University and the University of Queensland. Tony loves spending time with his wife and two young children and their newfound relaxed coast lifestyle. He also enjoys food, wine, music and is always dreaming of his next travel adventure! Hobbies: Art and Craft, Reading, Writing. Annetta is committed to empowering children in achieving dental confidence and the prevention of oral diseases. Annetta’s practice philosophy is that children’s oral health is important and integral to general health, development, learning and overall well-being. Annetta strives to provide optimal oral care for her patients from age zero. 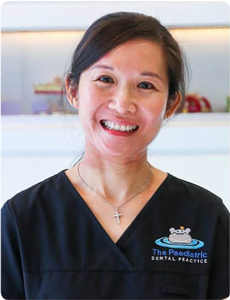 Annetta has a Doctorate in Clinical Dentistry and a Doctorate of Philosophy in Paediatric Dentistry. She also has qualifications in pain management and higher education. She is currently pursuing further studies in the area of disability. Annetta is a University Medallist and recipient of multiple awards, including the Australian Award for University Teaching Citation for Outstanding Contributions to Student Learning. Annetta has published over 40 peer-reviewed articles in internationally recognised journals, conference papers, books and book chapters. In addition to being a member of key dental associations, Annetta is also a board member of the Alliance for a Cavity Free Future (ANZ), member of the Gold Coast Health and Hospital Service Human Research Ethics Committee, CPE reviewer for the Australian Dental Association and member of the CMDFA Luke Journal editorial team. Annetta has way too many 'sweet teeth' but thank goodness, she is also an advocate of "drink water, brush and floss, don’t let germies be your boss". On the weekends, Annetta loves to spend time 'chillaxing' with her daughter, husband and Maltese-silky terrier, Yoshi. Our wonderful team at The Paediatric Dental Practice would not be complete without our extremely talented and highly experienced Oral Health Therapists, Kate, Dana, Marnie, Sophie and Clare. Our Therapists perform a wide range of oral health care services including examining, treating and preventing dental problems. They care for children and their dental needs with their primary focus being on of preventing disease and promoting preventive oral health care through education. Our Oral Health Therapists are university qualified and have specific training in treating children from infancy through childhood and beyond. They also have the additional experience of working only with children and adolescents each day in our practice. Through their care and expertise we aim to give your child the very best foundation for a lifetime of outstanding dental health. If you have any enquiries or would like to book an appointment for your child, please call us on (07) 5597 2000 or book online.